After a hiatus of several years, AMIDEAST Education Abroad is excited to return to Egypt and Tunisia. Starting this summer in Tunisia and next fall in Cairo, it will offer its popular summer and semester programs for Americans seeking to improve their Arabic language skills and understanding of the Arab world. 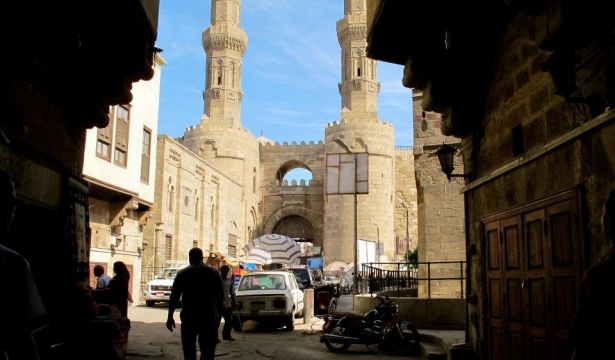 American students will be able to explore Cairo's many historical and religious sites, such as the Sultan Hassan mosque. Like most full-service third-party study-abroad providers operating in Egypt and Tunisia during the turmoil of 2011, AMIDEAST had little choice but to close its programs in these countries although they were in demand and great sources of pride for this organization. Unlike most providers, though, AMIDEAST, as a multi-faceted organization, continued to thrive in the years since then. One result is that our new AMIDEAST Education Abroad initiatives have the benefit of reopening with excellent strength and support on the ground. That should come as good news for the students and their universities that are itching to return to Cairo. For anyone whose interest in the region and the Arabic language has become a lifelong journey, that journey could not but pass through Cairo again and again. Cairo will always be Umm al-Dunya (Mother of the Earth), and students will return when there are excellent, responsible short-term and semester programs to meet their needs. We stand ready to welcome them, as well as students whose interdisplinary interests intersect with the region, when our Area Studies and Arabic semester program reopens in fall 2019. We are also looking ahead with equal enthusiasm to restarting our popular summer program in Tunisia. The summer Learn and Serve program that used to call Tunis home should be the perfect way for students to engage in a vibrant post-revolutionary atmosphere with endless possibilities. Rebranded as Action AMIDEAST: Social Innovation Abroad, the program looks forward to hosting students in Tunis in summer 2019. Based on the Tunisia model, announcements about additional Action AMIDEAST locations in 2020 and beyond are forthcoming.